Well, there are the obvious amazing rugby World Cup moments, such as South Africa hosting and winning in 1995, the first sporting event following the end of apartheid and Nelson Mandela wearing the Springbok shirt (such an iconic match that it was even made into a Hollywood blockbuster); that Johnny Wilkinson drop goal in the 2003 tournament to win the World Cup; France's amazing comeback to beat New Zealand in the 1999 semi-final. So, so many amazing moments. But my top moment is none of those. In fact, it happened recently. On the 1st of October to be precise. I took my son to his first ever rugby game as a spectator. It just so happened that it was Wales vs Fiji in the World Cup. He had two days off school and we travelled down to my mum's house in Wales together. It was our first trip away just the two of us, since he was a small baby and it was wonderful to spend time with my boy. My mum has supported Wales all her life thanks to my Grandma who was Welsh. I followed in her footsteps and have always had a huge passion for Wales. My son has taken a little more convincing and has settled with being a Wales fan when they are not playing England! The atmosphere in Cardiff was electric. Tens of thousands of people were on the streets. 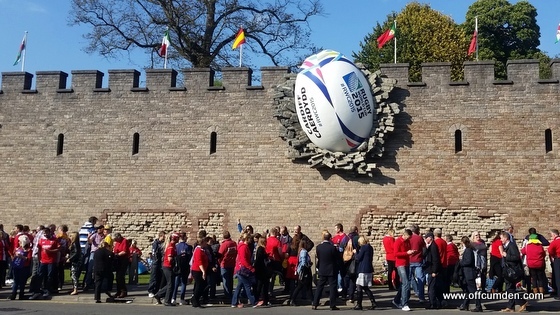 The weather was stunning and people were sunbathing on the grass in front of the giant rugby ball which appeared overnight in the castle walls on the day the tournament began. I was concerned that the sheer number of people there might faze him. I was wrong. He didn't seem bothered that there were people everywhere. That there was singing, dancing and cheering. All long before the match started. My son asked to have his face painted and ended up with two logos, one on each cheek. 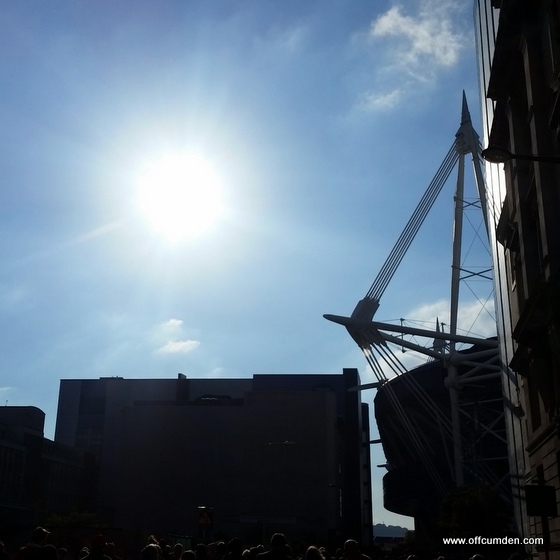 We arrived really early in Cardiff, so had plenty of time to stroll around and take in the incredible atmosphere. 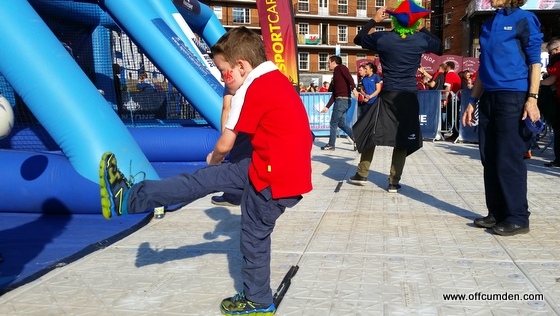 The fanzone was packed but there was plenty to keep people occupied and my son loved joining in with the activities. After hours of being entertained around Cardiff, we made our way to our seats. 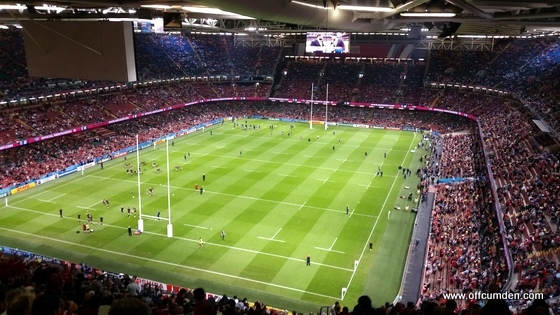 We were literally one row from the back of the Millennium stadium, but amazingly still had a decent view. The singing was loud, the fans around us friendly and the steps up to our seats gave us all the exercise we needed for the day! Watching my son's face light up as we scored a try or a penalty was magical. He adored being there and I am incredibly proud of how he coped with it all! So what is my top Rugby World Cup moment? Well, it doesn't even have anything to do with the fact that Wales won and I really enjoyed the match. 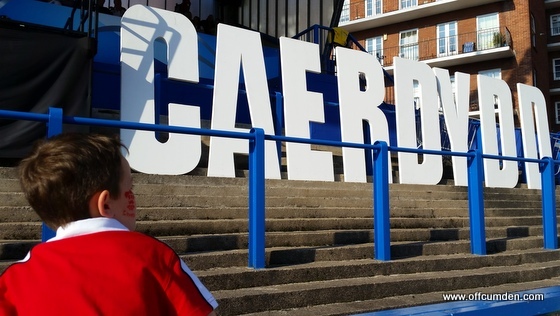 It was simply seeing my six year old son strolling through Cardiff after the game without a care in the world singing Bread of Heaven. It is a moment that I shall remember for the rest of my life. 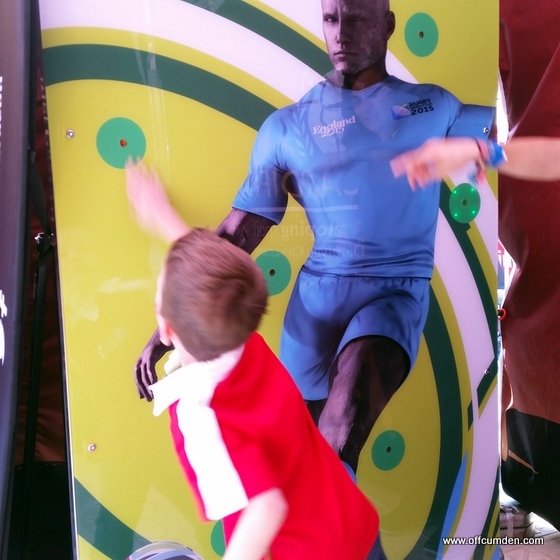 Do you fancy winning some Rugby World Cup tickets to the quarter-final at Twickenham on the 18th of October? 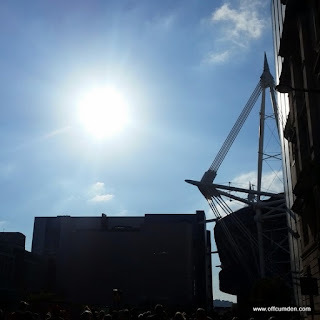 If you do then all you need to do is blog about your favourite Rugby World Cup moment. To find out more details, check out Curry's website. Disclosure: This is my entry to win rugby world cup tickets with Curry's. All opinions are my own and are honest and fair.